With the creative work complete and the print volume confirmed, all you need to do is get the job printed, right? 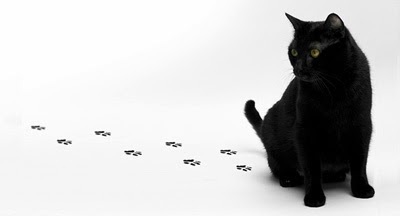 Whilst straightforward to some, it’s all too easy to get superstitious about the results when your print requirements are inadequately planned. With 25 years in the print arena, 10 of those in print management, I’ve seen many horrors and misunderstandings in my time. Now with my client services hat on I want to share some of the potential pitfalls and ensure the printing process doesn’t prove unlucky for anyone. Ensure images are sufficient resolution. This wouldn’t have been an issue before, as transparencies would have been sent to the reprographic house to scan. Images are now provided, though files are often low quality. Images should be 300dpi if they’re reproduced at 100% of their original size. It’s scalable, so 150dpi images can be used at 50% of its original size. Unless you intend to wiro bind, perfect bind or PUR bind, always make sure the number of printed pages are divisible by four so there’s something to stitch to. Always provide 3mm of bleed. Your artwork should extend over the trim area by 3mm. This gives the printer some tolerance when finishing. Always give your printer enough time. There’s always a temptation when schedules are tight to put pressure on your printer to cut corners. Never use a four colour process black. It won’t make it blacker and can cause colour consistency problems. For dense black use 100% black and 40% cyan (for a cold black) or 40% magenta (for a warm black). You can also print a pantone special black with a 30% process black but this will increase costs. Don’t expect finished print colours to match those on screen. It’s all down to differences between reflected and transmitted light. Your screen shows RGB colours (transmitted light) which give a significantly wider colour range than CMYK (reflected light). If you have the budget, consider printing Hexachrome for added vibrancy. Ask how people fill in forms. Go for a smooth uncoated stock, even if the form is filled with a fountain pen. If you use matt, gloss or silk the ink will take much longer to dry and may smudge. If you have asked for a Spot UV, consider spending a little extra on a matt laminate: the effects are twice as pleasing. When planning brochures or leaflets, view each side of the paper as one page. If it’s a wiro bound document you should talk in terms of leaves (one leaf is two pages). When discussing paper size always use width first, i.e. 210mm x 297mm, portrait A4; 297mm x 210mm, landscape A4. It can make all the difference to your print costs. Don’t confuse the number of colours you want to print. Black and white is one colour, not two. To get the best use out of the paper (and if it doesn’t get in the way of creativity) try to stick to standard sizes: A6, A5, A4, etc. Unless it’s screen-printing, no, you can’t print on black paper! Stephen has spent 25 years in the print arena. Beginning as a four colour planner and fine art retoucher, then moving into Print Management at Adare where he enjoyed managing some of their luxury clients among others. Now Stephen has seen the light and joined us at the Purple agency he’s enjoying his return to the more creative end of the industry. He is hot on detail and always has one eye on the studio and the other on the budget. Stephen was once told by a client that he was “ever so slightly geeky about what you do – but in a good way!” – That in itself tells its own story!